It continues to surprise me how little attention people pay to local elections. It matters very much who we choose for President, Congress and Governor but the most immediate effects are from the local governments. 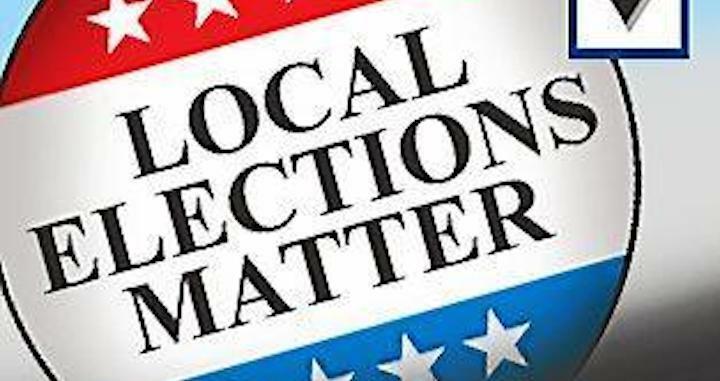 Tuesday, there is a primary and an election for county mayor and I thought I might share some of my views on the races that affect us the most here in North Bay Village. First up, for State Senate, Michael Gongora is a former Miami Beach Commissioner who knows North Bay Village well. On the Beach, our closest neighbor, he successfully championed porgrams for the elderly, for the community at large, and made demands on developers for community improvement. He has been a constant presence in North Bay Village. In my view, he should be our State Senator. He gets the life of the fragile beach cities. Kevin Burns is also running and his record is nearly identical. Burns has a long history of community involvement in North Miami, served as their mayor in fact. He has led countywide campaigns for equal rights and has consistently put his constituents first. I didn't vote for him, mostly because I feel that Michael Gongora is better acquainted with North Bay Village but it was really nice to have a choice between two well qualified, experienced candidates who know how to get stuff done. Jason Pizzo has not bothered to vote since 2008, has been a Democrat for all of 5 months, and has funded his campaign from his Dad's companies. He needs to get some experience and show good judgment in why people should vote if they want me to vote for them. Daphne Campbell is a very bad choice. I could write about it but my friend and fellow blogger Stephanie Kienzle has really nailed it. You can read Stephanie's take here. State Rep - in spite of the fact that he keeps making it difficult with his crazy endorsements of our mayor and for Jason Pizzo, David Richardson has represented us faithfully and well. He may be my favorite person to disagree with. David should stay the hell out of our local election. Supporting Kreps is a mistake for NBV'ers and for the local LGBT community but show me the candidate without flaws and I'd hate him more. So David has my vote. Finally, on the Circuit Court Race, I voted for Oscar Rodriguez-Fonts. The guy's been a public defender, a city attorney, and in spite of being a Republican (I'm not, you know) understands very well the rights of the community, the needs of the police, and has always been committed to fairness regardless of the cost. I'm voting character here. Finally, Amendment 4. Just vote Yes. It's crazy that we don't have extensive, cheap solar energy in the Sunshine State. This would give homeowners some serious tax relief for generating electricity. It's safe, clean and effective. I know there are other races, particularly for county mayor, but I don't have a strong opinion or even a well informed one, so I chose not to write about them. Well, there are two races I have opinions on. Both of them represent why the Democratic Party can't put its act together in Florida. For Senator, Pam Keith would be a natural in any Democratic party. A bright woman, with vast international experience, a Navy veteran, an attorney with a long record of public service and a well reasoned progressive. Her opponents are a couple of white boys with money and ego where they should have experience and judgment. But it's Florida and it's the Florida Democratic Party, so the odds are stacked against her. It's a terrible shame and I hate to sound defeatist, but I've watched our state party mess this up time and again and I expect this time will be no different. For Congress, did you even know there were Democrats running to take on Ileana Ros-Lehtinen? Bet not. Now I like Ileana Ros-Lehtinen, a lot. I think she is a woman of integrity and political courage. I disagree with her on many specific political policies and probably will not vote for her but I have no question about her commitment to her constituents. We are far better off being represented by her than being ignored by Debbie Wasserman-Schultz, our previous representative. Anyone in North Bay Village remember what DWS has done for us? Me neither. So that's it. My take on the primary. Now go vote!